The Aliens are perfect killing machines. Our only hope for survival is the ultimate in military force. 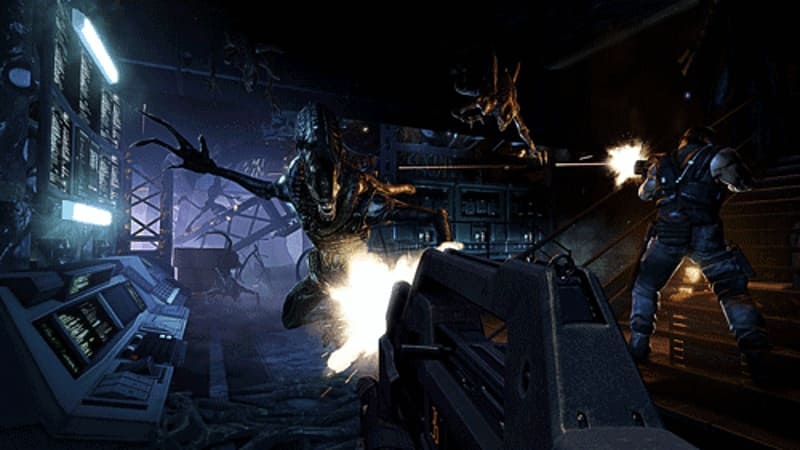 Aliens: Colonial Marines Limited Edition on PC takes you back to LV 426 to fight the Xenomorph infestation in this action-packed first-person sequel to James Cameron's 1986 classic Aliens. It’s been 17 days and the crew of the USS Sulaco have not been heard from, it’s time to lock and load marines as we send you to LV 426 to search for the team and if necessary contain the situation. 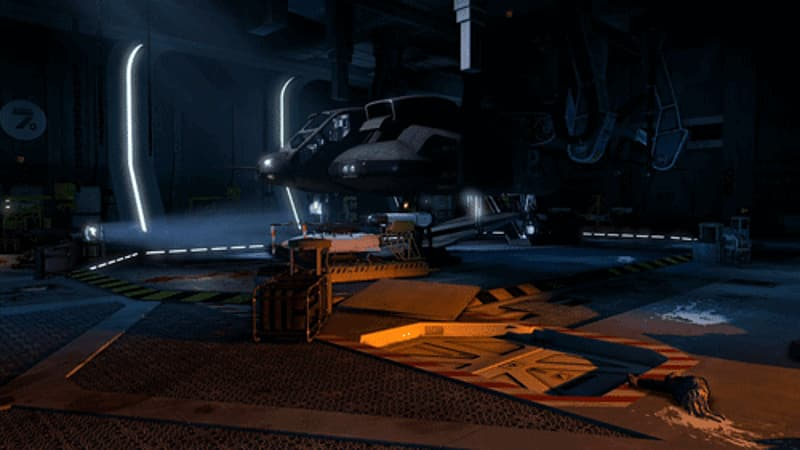 You’ll investigate the Sulaco before hitting the ground on LV-426 to explore Hadley’s Hope. You’ll be armed with the latest gear to aid you including Motion Trackers, Pulse Rifles, Incendiary Units, SMART Guns and, if things get desperate, Knives and sharp sticks! Experience an authentic Aliens encounter as Gearbox software enlist the help of the cast and crew of the Aliens movie to ensure that this is as close as you’ll get to re-living the movie! The smallest of details have been lovingly recreated, and the game even incorporates original audio files from the film, from the iconic Motion Tracker ping to the burst of the Pulse Rifle. But you needn’t go in alone. 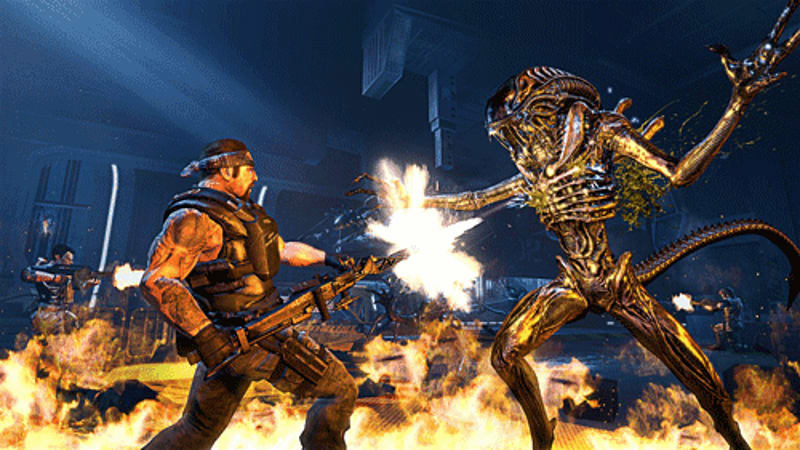 The campaign in Aliens: Colonial Marines features Drop-in/Drop-out co-op gameplay, so if the battle is getting too tough you can call in the support of your friends to lay down some extra fire! Lurker: Lightweight with a smooth dome, this Alien prefers to hide in the shadows and leap great distances to surprise its prey! 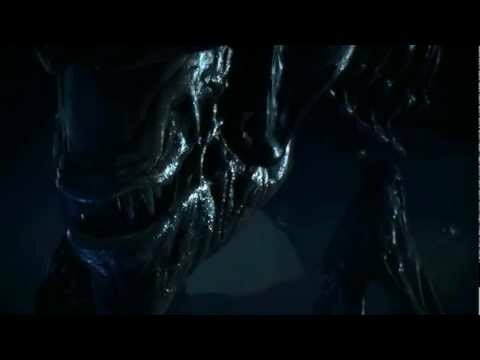 Soldier: Built for battle this Xeno is tougher than the lurker and will take a lot of punishment before it goes down. It will attack in packs using its clawed hands, tail and inner jaw to overwhelm its prey. Spitter: Slightly bigger than the Warrior, this Xeno has a small crest on the back of its head and has the ability to spit acid over great distances to weaken, or in some instances kill its target in a single strike! 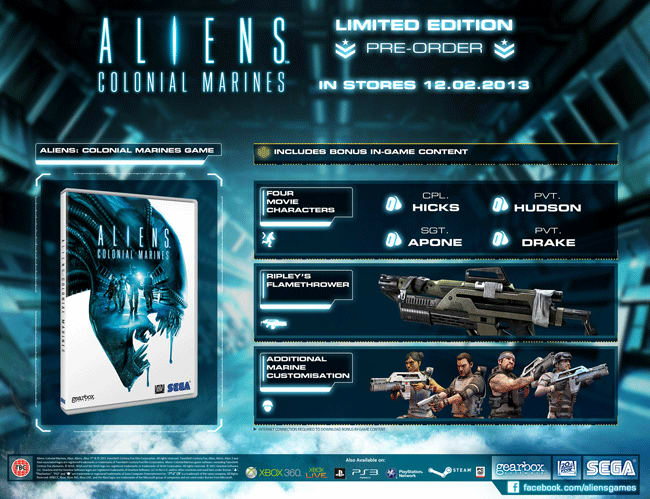 Aliens: Colonial Marines also offers superb online choice with exciting multiplayer modes that will test the most battle hardened First Person Shooter fans around. You’ll move from tight-claustrophobic corridors to expansive loading bays where attacks can come from anywhere as the Xenos take to the shadows and prepare their deadly assault. All the Alien breeds are playable in multiplayer, and you can also upgrade your Marines with new weapons and new looks! As you fight you’ll earn XP which will unlock guns, armour and even Marine skins, so you can go from fresh-faced Rookie to battle-hardened heroes! Escape: With a 15 minute time limit, a team of marines must escape from the Xeno menace in this point-to- point mode. But it’s not a straight run as the marines will need to work together to unlock sealed doors and defend themselves when systems fail! 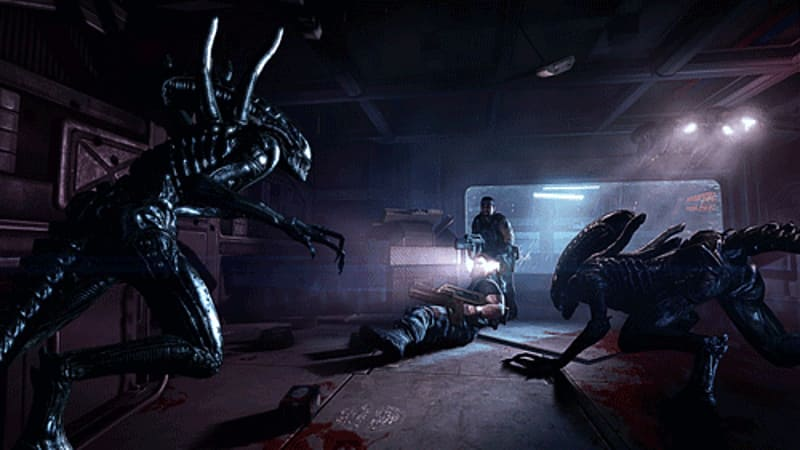 Extermination: The marines will take the fight to the Xenos as they try to destroy clusters of Facehugger eggs whilst the Xenos try to stop them in the only way a Xeno can…a quick, yet painful, death! 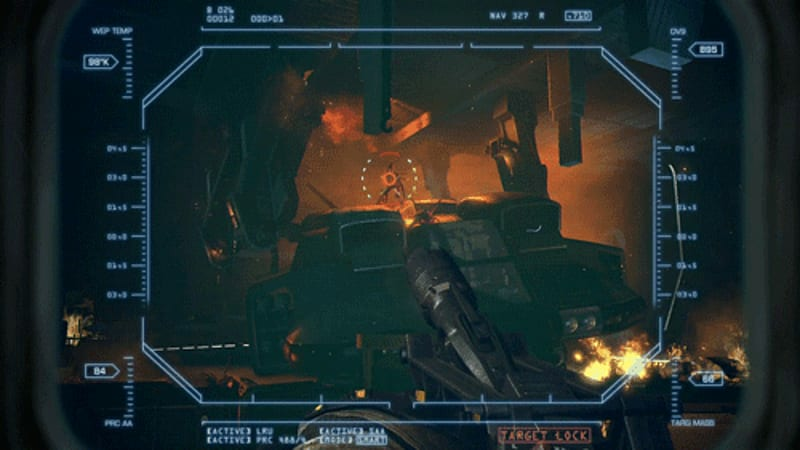 Team Deathmatch: A team of Marines against A team of Xenomorphs… it’s that simple!